Certain passport holders are also eligible to apply for an Electronic Travel Authority (ETA) or eVisitor. Health Check Proforma for applicants aged 75 years or over. Certain tourists are also eligible to apply for an Electronic Travel Authority (ETA) or an eVisitor. Please refer Visa Pricing Table for more information. *Fees are subject to change & inclusive of taxes. Visa fee payment should be made using a "Bank Draft" made payable to the Australian High Commission. Visa fees must be in Sri Lankan rupees and drawn against a Sri Lankan bank. The visa office cannot accept bank drafts in Australian Dollars or bank drafts drawn against an Australian bank or any other non-Sri Lankan bank. Two passport-sized photograph (please attach to the form). NB - ID photos that have been digitally enhanced or altered to improve or change appearance or remove distinguishing features are not acceptable. 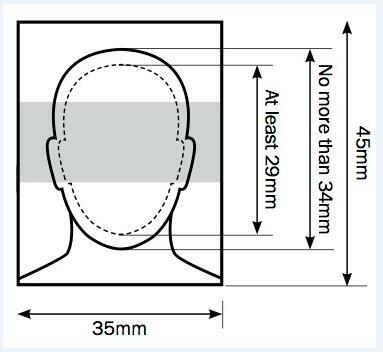 As the photos are required for identity purposes, if they do not represent your true appearance, your visa application may be delayed if you need to be asked to provide new photos. The photos should also meet normal passport size and pose (front on head and shoulders, no facial coverings or sunglasses). For the current average processing time of visa application kindly click here.